Girls white floral lace communion dress named Cherish by Millie Grace, perfect for your girls holy communion day. Cherish Dress: A beautiful flattering empire line satin dress with an overlay of pretty floral lace. 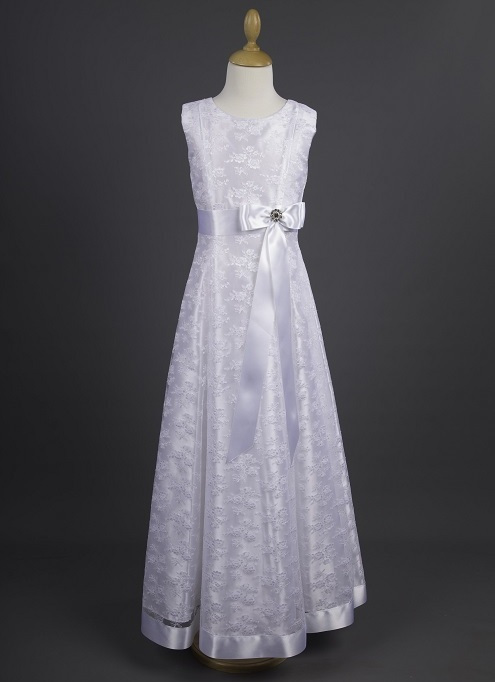 A wide satin ribbon sits around the waist and hem, featuring a pretty bow and tails together with diamante detail to give this dress a modern look.